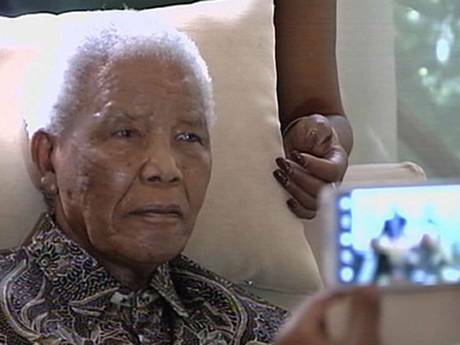 Nelson Mandela in the Hospital. God does not forbid bad things, this is the world of men, and no amount of prayer will change the inevitable. You can leave a fired candle with your baby and pray for the safety of the two year old, the will of your baby will prevail. It is with gratitude to God and the will of the Nigerian people that I announce the death of the last publishing house in Nigeria. She is survived by four children (the enterprising Chinese pirate, the uneducated Nigerian intellectual thief, an intelligent Indian printing press, the government under-funded NCC) and two grandchildren (books from UK sales bonanzas, and books donated by Americans to Ojuelegba-under-bridge). When was she born? Was it when Amos Tutuola’s “The Palm-Wine Drinkard” was first published in London? The truth is: every Nigerian date of birth, before 1960, is a suspicious invention. Birthdays were usually approximations: if your hand can touch your ears, you’re above six years. When I was born, the Nigerian educational system was on life support, like Mandela at ninety four. That I can type English is due to the prayers of my parents. 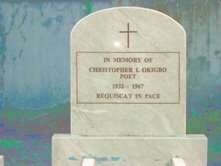 Writing about the history of Nigerian publishers is quite a feat, I should have read about it, but the person (Christopher Okigbo) who should have written the book was killed during the Nigerian Civil War. There was nothing civil about that. Things Fall Apart by Chinua Achebe is my adopted beginning of publishing in Nigeria. Sales from Things Fall Apart encouraged Heinemann to establish the African Writers Series [i]. Achebe was the founding editor of the imprint, and after “self publishing”[ii] his book, he went on to publish about one hundred titles by other African Writers including Wole Soyinka, Ngugi wa Thiong’o, Doris Lessing, Nadine Gordimer, and Naguib Mahfouz. Achebe and the African Writers Series published plays, collections of poetry, novels, essays, collections of short stories, and they feed the literary hunger of the African continent. And “na who first die, get seniority for heaven”[iii]. I hereby declare Albert Chinualumogu Achebe the Patron Saint of African Literature. Oh Achebe, how is Okigbo? Are you walking in the dead? Coming to join you, please edit her titles. I have prayed to the ancestors of African publishing, but only the living can answer prayers. The civil war and a Nigerian road curbed Achebe’s creativity. The military regimes pursued Wole Soyinka out of the country, and they used the Nigerian “handbook of governance” to decimate intellectuals. They took schools from private owners and starved government institutions of funds. Everyone knows what excess education can do to the mind, it created an over sabi Wole Soyinka and a wahalaful Gani Fawehinmi, and many other “elements” that thought they knew better than the government. The Nigerian military destroyed printing presses who were printing subversive ideas like democracy and civilian administration. They broke the fingers of our best printers and blinded the eyes of others with money. The lucky ones were left to rot in jail for “wandering at night”. [v] The silent years began, and our best minds emigrated to western universities, and they never came back. The country died and poetry flourished because Nigerians didn’t understand verse, and truths could be hidden in poems. We got rid of the military in 1999. Military rule is the worst form of administration, I pity Egypt. The military prospers on the obedience of commands. Creativity comes from questions, from the chaos of understanding. “Why” is the order of creation, to create is to rebel against dogma. Men must have the freedom to question the answers, scientists and artists are just expert interrogators. After the military left, good books crept out of imaginations. The Literary Prizes soon followed, and publishing houses revived their literary practises. Then Farafina Books came with a dream. It went to the market with Chimamanda Adichie’s “Purple Hibiscus” and it began to sell. In Nigeria, it remains the number one literary bestseller of this millennium[vi]. But it is not solely published by Farafina Books in Nigeria. Our biggest competitors are unknown Nigerian businessmen and a chain of Chinese collaborators. To say that “all Chinese businessmen in Nigeria are pirates” is to assume that “all Nigerians are internet fraudsters”. This is how it works: they go to bookshops in search of bestsellers (usually Farafina Books) and they pirate hundreds of thousands in India or China, and they import pirated books into the country. Flooding the market with counterfeits and killing the dream. At the beginning, Farafina Books published numerous titles from multiple writers, both profitable and unmarketable authors found a home in Kachifo Limited. The success of one could offset the cost of many others. And the quantity of quality writing was as diverse as the stars under the Onikan sky. The success of Farafina Books inspired other publishers like Yam and others. The Farafina Trust Creative Writing Workshop encourages and develops the skills of unknown and unpublished African writers. 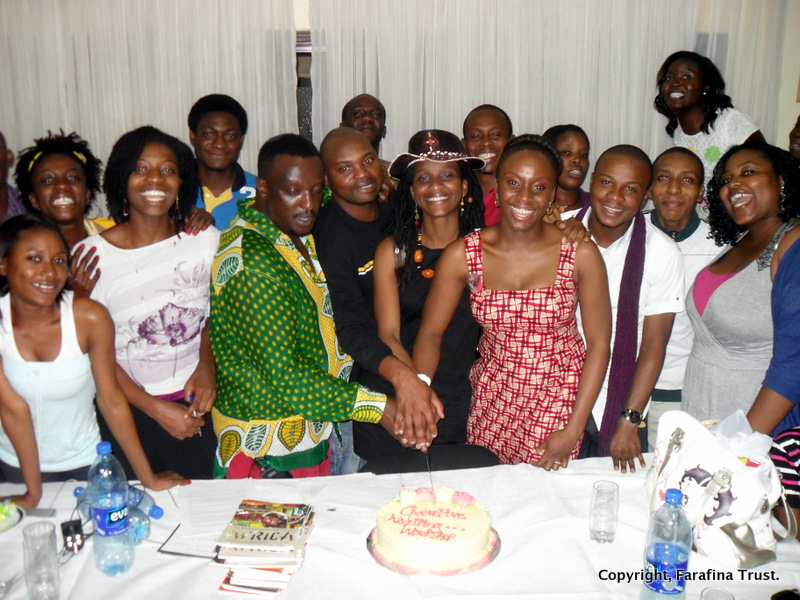 It remains the number one “boarding house” for budding writers in Africa. At the moment, Farafina Books cannot publish as many titles as she would love to. This is a business: we pay for office space, security, electricity, insurance, internet services, financial services, copyright protection, legal services, petrol and diesel generators, library books, furniture and appliances, telephone bills, water supply, waste disposal, maintenance and servicing of equipments, renovations and aesthetics, office stationeries, staff training, and salaries of : editors, crazy editorial assistants, graphic artists, accountants, marketers, technicians, auditors, drivers, engineers, software programmers, and janitors. We pay corporate and income tax to the State and Federal governments. And our staffs have families, intend to raise families, enjoy office parties, and go for paid vacations (in their dreams). At the end of our working lives, we also deserve pension. We’ll like to pay our authors millions of royalties, and help produce a Nigerian Billionaire author. We’ll like to revive the Farafina Magazine, at least to publish my writings. And it will be nice for our Board to declare profit. It’s a miracle to run an independent publishing house in Nigeria, prayers do not pay our bills. So when you ask if we have “China Must Go” or that other book not published by Farafina, I wonder if you want Farafina to use my “naira and kobo” to publish your reading pleasures. What about the Nigerian Copyright Commission (NCC)? Shey you gave them money to be pursuing pirates up and down? Or are you expecting them to use their “two naira” salaries to be pursuing millionaire pirates? It takes cash to enforce the law, and it takes some Dora Akunyuli who doesn’t care if she makes her husband a widower and her children to be motherless. It takes an Olusegun Obasanjo to appoint a Dora Akunyuli and ensure she receives all the support she requires, both in funds and security. It takes the Nigerian media to sell a Dora Akunyuli to Nigerians. So you’re still wondering why we didn’t publish your manuscript? So what if we did: we spend millions to produce your book, somehow we get to advertise and market your book without cost (very impossible), and your book makes it to the booksellers, and all the bookshops remit sales of your book after it has left their shelves, and your book makes a profit and Farafina sends you royalties. Then: the pirates smell blood and swoop in on the harvest. Farafina will not earn naira, neither will you, and I will not get paid. And everyone will be happy, shebi? Yeye! If you like, say it does not concern you, after all Farafina did not publish your book and your entry was not accepted for the Farafina Trust Creative Writing Workshop. Don’t worry. Nigerian publishing will die and life will continue. Creative minds will go abroad to get their books published like flocks of Nigerians flying abroad for good education. The last printing press will eventually close, except on election years when they print campaign materials. After the death of the last publishing house in Nigeria, other dreams will be inspired to venture into publishing, right? You are right man.As a matter of fact i am also searching for a publisher to work on my anthology of short stories. I was searching the web looking for a good publisher to publish my collection of poem. I must say I have found a publisher. Who ever wrote this piece has a way with words that captures the reader’s attention and never lets go. Udo. 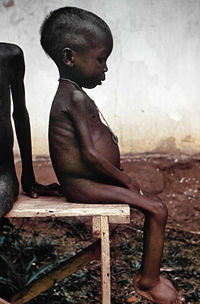 Honestly this is a problem the nigeria government need to look into. The young minds must find their place in the litrary world. Wow this a nice right up. Na waooo I wonder what is becoming of this country. The hunter cannot even have a piece of his hunted animal. Farafina must not die ooo. A lot of young writers are still trying to get a hold to ur platform. saw this today and nearly cried. it is the truth but we go win. I w0nder what the heck is with #pirates…i stumbled 0n this motivating article when digging something ab0ut the cost of printing a th0usand c0pies of ficti0n…i saw farafina is faced with obstacles.I w0nder what 0ur fate will be if farafina dies! This is an amazing write up. It aptly captures the whole problem we as literary enthusiasts and aspiring writers are facing in the country. But my advice to Farafina is that they should keep fighting, even if it’s just with words and articles like this. There are still a few of us left out here, just like Farafina, who still believe in a change of fortunes. Aluta continua, Victoria acerta!! Amatesiro!! hats off for this gorgeous piece of writing – it’s as authentic and crazy as you are. Somehow, we must STILL believe and hope, that one day someone who is actually a President (not a stand-in man) will appoint someone that will push our cause forward with grit and determination. All hope is not lost, the Arts will prevail, Writing will prevail and the budding talents will sprout into a beautiful field of literary greats. We must believe! This post broke my heart. And nearly crushed my dreams. The writing was inspired though. Hats off to the author (my first complement this year). I noticed you have Brandon Sanderson on your Goodreads widget. I love him to bits. Read all his books (except Way of Kings). Gonna be better than him, someday. Is it twisted to say I enjoyed readin this? Especially seeing myself in the picture of the graduates of the 2010 workshop. 😉 That was serendipitous. I enjoyed it not just because I feel involved because I would love to be published someday -and by Farafina no less- but more so because your writing gripped me and refused to let go. It’s hard to keep me reading to the last word these days but you did. Well done! Now to everyone who accused this piece of crying wolf, and is urging Farafina to fight, I say I think this is a good way to fight. Farafina is in the business of words, I’m not at all surpised that it has chosen to deploy words as weapons to correct or at least begin the process of correcting the imbalance. Now that we have read it and are talking about it, someone will tell someone and someone will provide a solution that will work. The solution requires collective effort and I say kudos to Farafina for realising that and calling us to the village square to add our minds to the pot so we can together brew the antidote to the lethal poison that piracy is. We all agree that a problem’s solution will never be found at the same level at which it was created, so let us rise above it together by offering constructive criticism and any solution at all. One idea is sure to work out of the pile we collect. The music industry was and still is besieged with piracy but they are not sitting down crying wolf, they are fighting hard against piracy, what is the writing art doing to fight piracy? Has there been a body like P-MAN of the music industry, video and licence board of movie industry, set up for writing? Is there an umbrella of writers where suggestions could be made and foot soldiers created to tackle issues? Farafina, the hope of every established and upcoming author in Nigeria must not die, writing must not die, the voice of creative nigerians must not die. I am sorry to ask the bitter truth questions, I reserve the questions back as truth is bitter and is from books there are told. WHY FARAFINA MUST NOT DIE? Who will give us breast? If anything good has come out of all this it is that our plight has inspired poetry. We are honoured. Thank you ‘Asokogi’. First time writer here, been looking online for a publishing house. How good is farafina? Are they in the south south? Delta state to be precise. My book Nigeria, love and other drugs comes in two parts, first part is historical; of Nigeria from 1900, on past the lording over us by the royal Niger company, establishing of protectorates to almagamation and later independence up till 2013. Second part is a love story between Nysc corpers ndi and habiba, with interactions between ndi and his pupils, habiba’s family amongst a host of others. To quicken literacy in Nigeria, shall we encourage each state to establish a state-sponsored publishing house? You were one of those calling for total revolution knowing fully well that revolution was war. Now you’re panicking and want die for mere hearing of gun shot or rumour of revolution. Please stay alive and help fight the invaders ie the Pirates , the Chinese and even our self-serving governments. We writers shall help by putting you on a strong life-support, so that you will not die. We shall be paying greater chunk or percentage of the cost of credible works you’ve accepted for production. A pity you don’t believe in prayers and that’s more work for your PROs. They should intensify effort to utilize the cooperation of pirates and millionaire business men in marketing of the books. If it does then what will book enthusiats in Nigeria read?Foreign novels? If it does then what does the future hold for young aspiring authors who are yearning to be heard,and who have hope that they will be heard,not just by their locality but by the world because of a platform like Farafina? If it does,it would be like the days of gloom before Adichie,when it seemed like aspiring to become an author was a futile dream,but Adichie gives us hope through Farafina.Will Nigeria also take that from us?This fragile but strong hope? Farafina is a great publisher,but doing any kind of business in nigeria today comes with challenges so publishing is being dealt its own share of challeges.I have 2 points to make:1.let’s not allow piracy to douse our enthusiasm about books, literacy and the art of writing.book reading sessions are disappearing quickly our “billionaire author if/when she shows up should have a channel for her voice to be heard inspite of overwhelming odds.I believe the business of publishing should not take the art with it into the abyss .2.DIGITAL PUBLISHING can do for publishing what mp3 did for music:cost effective exposure,small profit margin but it relieves both aspiring writer and publisher of the burden of unpublished manuscripts.Farafina does not eat manuscripts she?lastly, I’m a comic artist and I like to borrow a line from spider man,let’s cut down on the complaining “KIDS ARE WATCHING. Great writing, but what to do? Is this a call for arms? For us to do something to preserve ‘Farafina’? Farafina means a lot to me, and to many other Nigerians so if you are seeking innovative solutions, pray….tell! Clearly!! Perhaps we can bring back the Pacesetter series (somehow via Farafina, though I don’t expect those born int he 80s to know Pacesetters. Sorry!). Or perhaps Farafina would like to partner with ‘independents’ in a variety of contemporary publications…..
@Kitchen Butterfly, we’re definitely open to suggestions and yours sound like good ones. Thanks. Some beautiful writing, held my breath from start to finish. As to the content *deep sigh. I wish I had solutions to proffer but I don’t. You write pretty well yourself. Keep fighting, How can we help? This is so disheartening. Let’s help ourselves by buying ONLY original books. If anything as close as what’s been predicted by the author happens to Farafina, we will all pay dearly for it. Trust me, we will! LET ME GIV WRITERS & PUBLISHERS AN ADVICE: STOP FIGHTIN BOOK PIRATES; COLLABORATE/PARTNER WIT DEM INSTEAD. EVEN THEY END UP GETTIN D LOIN SHARE OF 65/35 OR 70/30 OF D DEAL, IS IT NOT BETA DAN LOSIN 99% FIGHTIN A LOSIN BATTLE AGAINST DEM? DAT IS WAT WISE MUSICIANS & RECORD LABELS DID WIT D MUSIC PIRATES IN ALABA & IWEKA. COS ITS ALMOST IMPOSSIBLE 2DEFEAT DEM IN DIS PRESENT CORRUPT NIGERIAN SYSTEM O! SO TAKE MY REALISTIC ADVICE. OR SELF-PUBLISH. DAT NA D SUREST WAY. SHIKENA!!!! This the reality of the country we live in. I wish Nigerians will stand for something, so they don’t lose everything. @unibentimes is obviously an individual who does not know what it takes to run a business in Nigeria. I think Farafina has done a fantastic job, they made me take an interest in Nigerian literature and I truly wish something gets done. Our government does not but steal and cheat. They do not protect our borders, or our jobs. Most businesses now import foreigners into the country and who regulates this? Same with all the pirated items being imported into the country. This article is a wake up call, we who enjoy Farafina books should be conscious of where you buy them. I think Farafina should also endorse certain places where these books should only be purchased. I bet there are loads of Nigerians who have been touched by the books you have published and wouldn’t want to see this publishing house die. Something must be done. Where there is a will, there is a way! @lilychic I believe you misunderstood my ‘FIRST COMMENT’ on this blogpost. Farafina, whether anyone likes it or not, is a model for publishing houses in this country. Despite d odds, they have managed to not just survive the harsh economic climate, but also have created a niche for themselves. Honestly, from all the local publishers am currently engrossed with, Farafina intrigues me more. why? What the writer has done is to do what we Nigerians know how to do best – LAMENTING AND WAITING FOR THE GODS TO COME TO OUR RESCUE! I’ve read countless materials doing these same things – calling for public support, blaming the system and everybody else. This blogpost honestly does not say anything new. We need to be clear about certain things, Nigeria is an ailing country. Corruption is the norm and poverty is not news. We keep complaining about piracy and attacking the government for not doing enough to curb it. But you and I know the situation of this country. COMPLAINING DOES NOT SOLVE ANYTHING! Let us 4get government and let our publishing houses create their own piracy-proof system, just like the average nigerian has solved his problem of power by buying generators. I’ll keep doing all I can 2 support great projects like farafina, but we need radical ideas if we are to save our ALMOST DEAD publishing industry. firstly how many can afford a generator and even if you can how is that a solution? causes more pollution and consequently damages your health and that also the government cares nothing for. Government is there for a reason and if you chuck it up to the citizenry to do the job of the government for which we are taxed…then we might as well forget about being a nation and hang our individualistic flags at our doorsteps since you advocate self governance. You have a point there. It depends on the people that patronize these pirates; me for one, hate reading pirated books cos it makes me feel like am missing some points in the book. 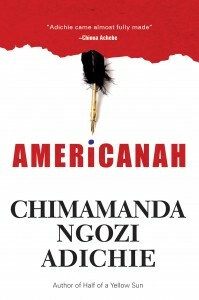 Chimamanda’s ‘AMERICANAH’ has been pirated like ‘pure water’ down here in onitsha. The bitter part of it is that the pirated copies were finely done with a water-proofed cover, just that the weight and quality of the book was impaired. It would take an eagle eye to distinguish the two. thanks to china and our failed government. Anyways, I must commend farafina group for at least, being a name to conjure with in contemporary Nigerian publishing sector. your books are the ones to be chewed and swallowed. This is a self fulfilling prophecy. Hunker down and get on with it. It is such a pitiable situation. I wish there is anyway I can help. But, honestly, I think Farafina is not doing enough. I mean, you guys have a beautiful dream but you seem to be overwhelmed by the dogmatic philosophy of the average Nigerian. Piracy seems difficult to solve, BUT I DON’T THINK SO!!! Not with the right strategies anyway.